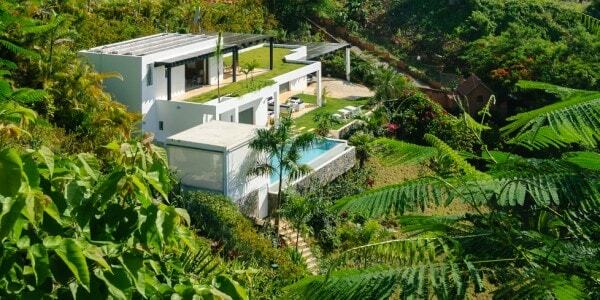 Our villa is located on a hill in a quiet residential area, facing the sea, in a safe and private group of 5 properties occupied by French, Italo-Brazil, Serbe, and Swiss retired people . 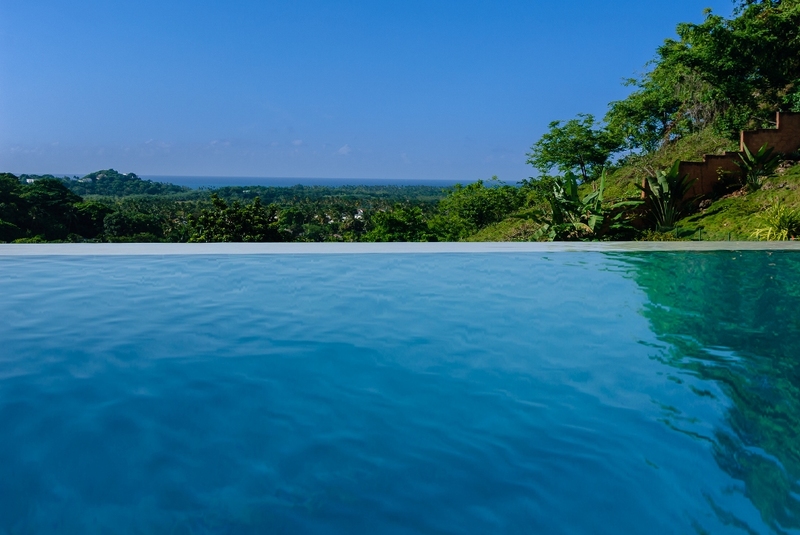 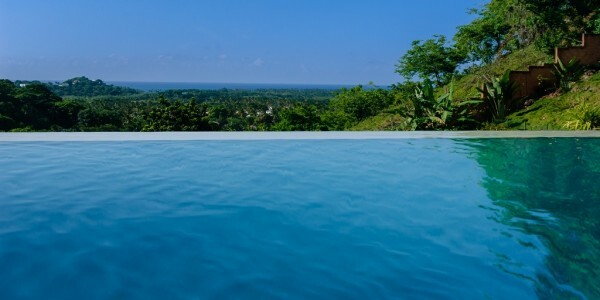 It is located 4 minutes from the beach and Las Terrenas with Samana El Catey International Airport only 20 minutes away. 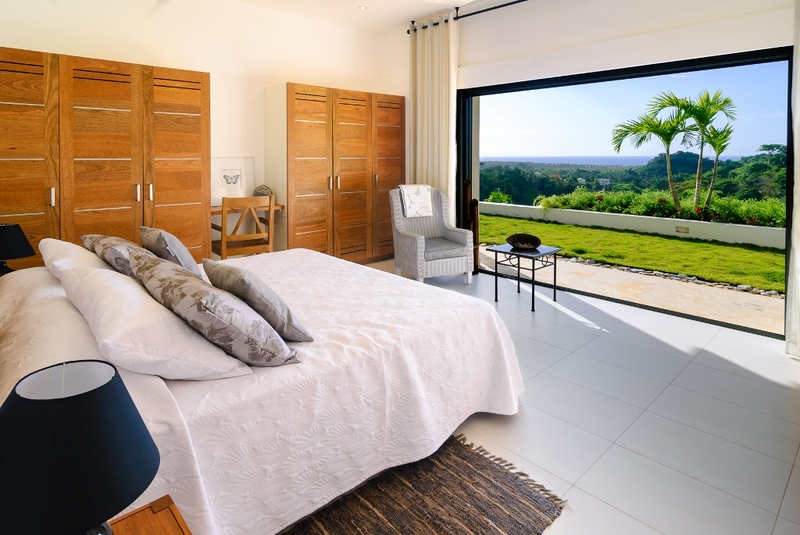 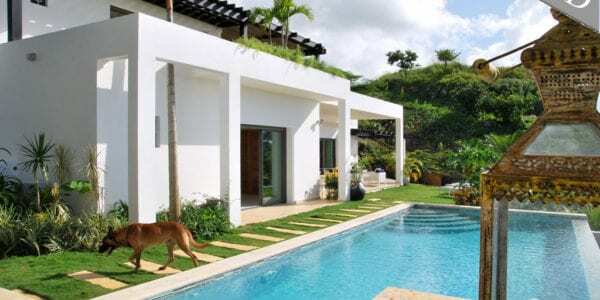 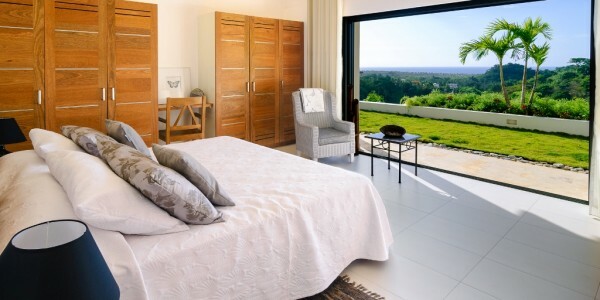 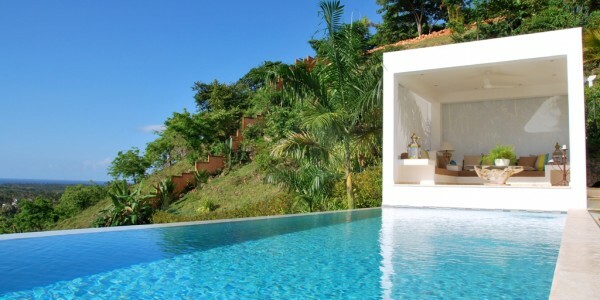 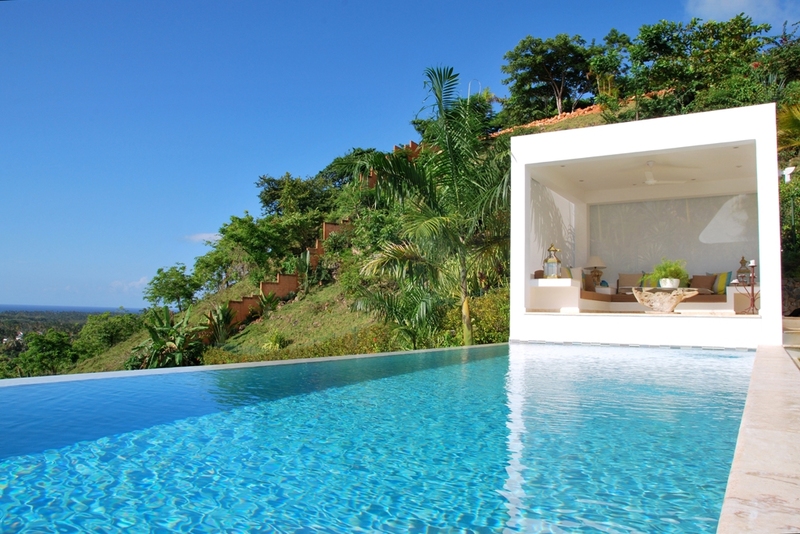 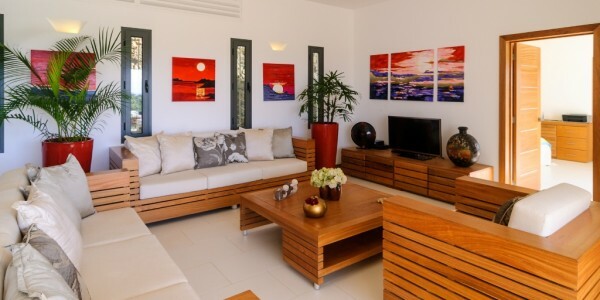 This contemporary style villa was built in 2013 and has superb views of both sea and mountains. 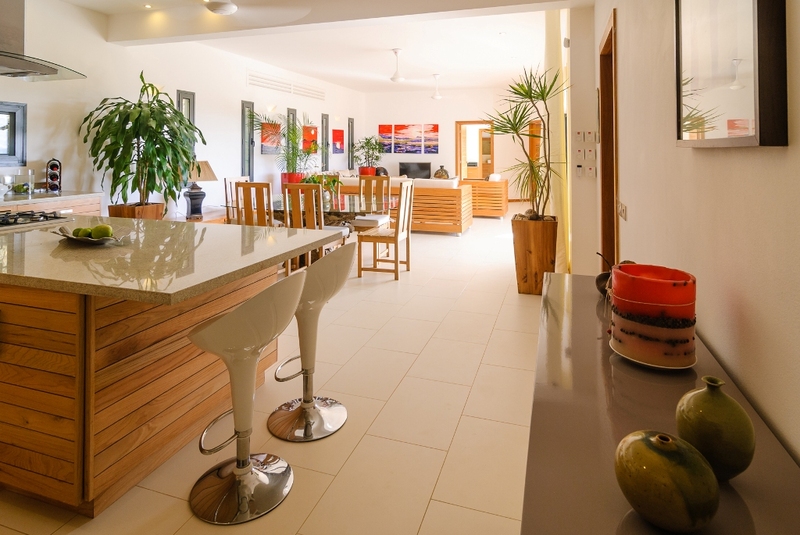 Spread over 405 m2, each of the 3 bedrooms has its own bathroom, and there is a large open plan lounge – dining room – kitchen, plus a cellar, on a 2,487.24 m2 plot. 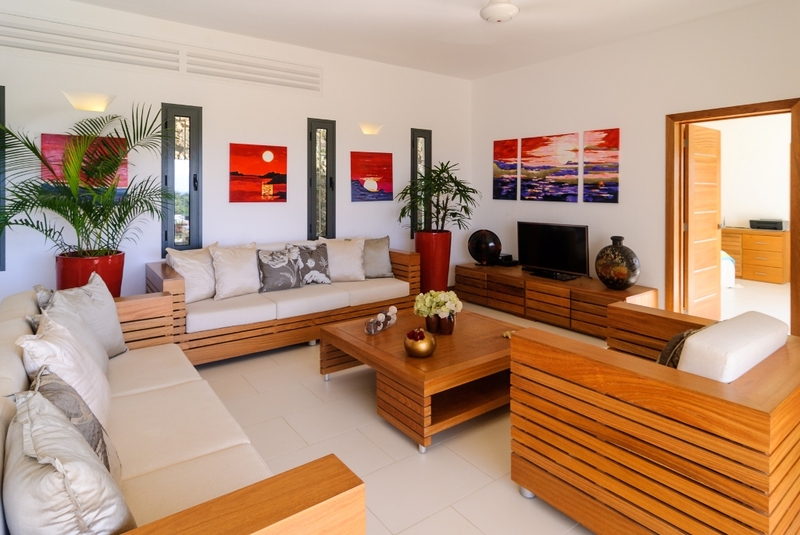 The villa is fully equipped with luxury furnishings and includes a salt water swimming pool measuring 10 m x 4 m which is computer run, comms room, pool house, electric gate, parking space for 2 cars and covered Pergolas, enclosed terraces on the 1st and 2nd levels, indoor and outdoor, alarm system; power backup-inverter, air con, 20 solar panels, flat roof covered in vegetation. 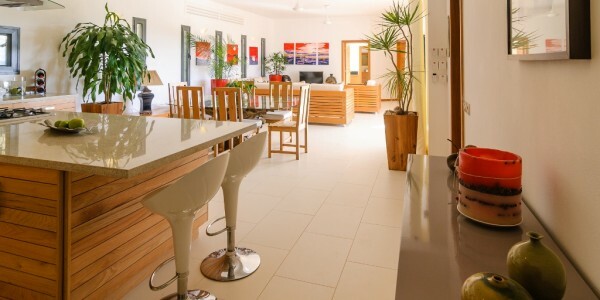 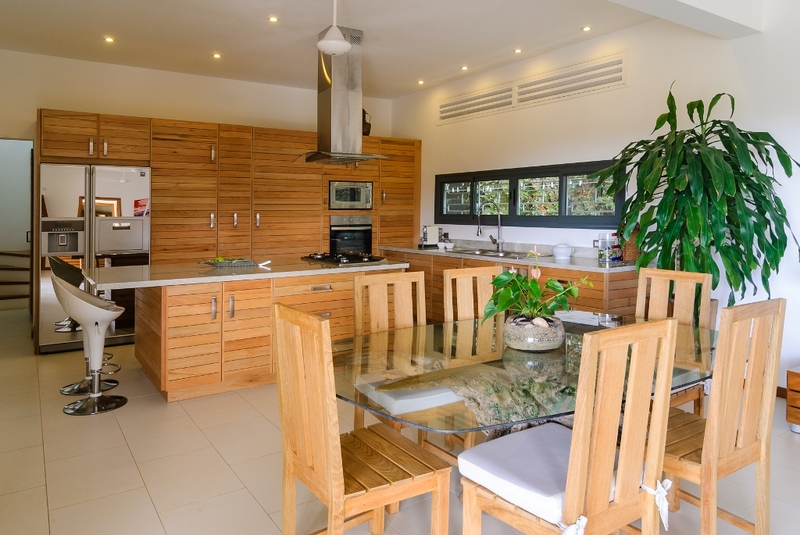 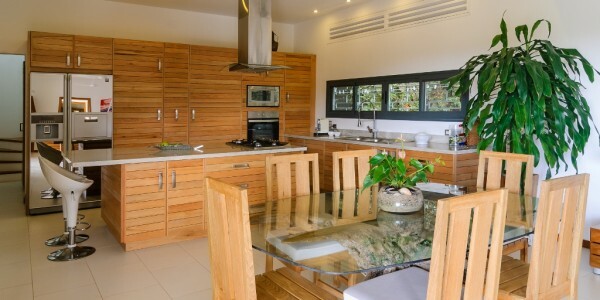 The villa is lit entirely by Led lighting and has Wifi Internet, and satellite TV (2 plasma screens) ,a fitted kitchen with the latest equipment. 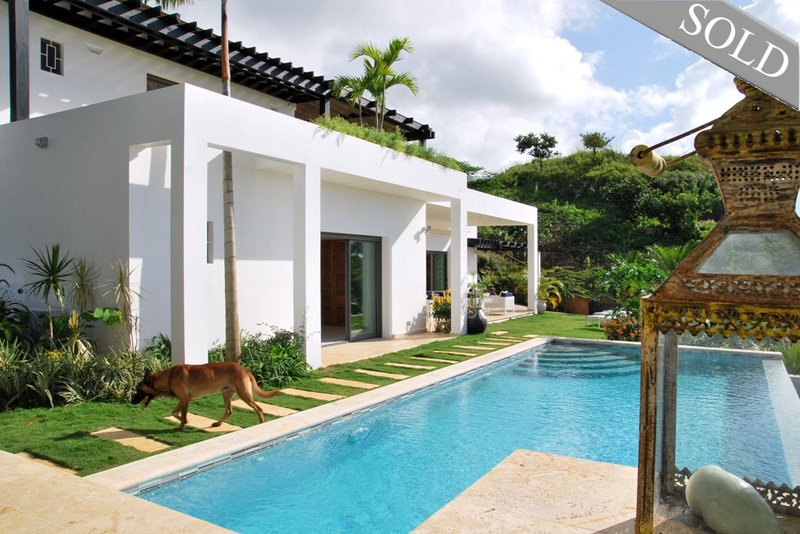 The interiors were professionally designed and the grounds contain a variety of tropical, plants and trees as well as lawns, etc.